Our Favor Dice are 16mm gold and ivory marble-effect D6s. 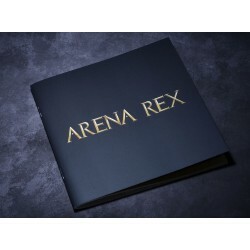 An Arena Rex laurel icon is molded into the '6' face. Icon and pips are inked black.